Scorching high temps have even some of our desert plants looking stressed. Clouds and higher humidity are easier on plants, so keep your fingers crossed that monsoon weather will pay us a visit soon! Shop for a rain gauge if you don't have one (or empty the dust out if you do) as monsoon storms are localized. Turn your irrigation off if you get at least 1/2" of rain. See our tips below to learn about grass removal and rainwater harvesting - both will save you water and money! These recommendations are for plants that are established in the landscape (in the ground about 2 years). Yes, some areas did get a trace of rain overnight on December 5, otherwise most areas last saw rain on August 23. It’s dry, dry, dry, and humidity has dropped and wind has picked up. This can also dry out your plants. Point is, while plant usage is at its lowest point in December, make sure you’re still irrigating, as your plants will fare cold temps and frosts better if hydrated. Our typical first frost is around December 12, though we're already seeing unseasonably warm temperatures. But, it's still good to be prepared for a cold snap. Learn how to protect your plants from frost in a University of Arizona publication. For frost warning advisories, visit the National Weather Service Phoenix Web site and click on "Read watches, warnings and advisories." Overseeded cool season grass (rye) - once every 10-14 days. We didn’t have to dial back our clocks an hour like most of the country did this past Sunday, but it is a great reminder that it’s time to cut back on watering. Water needs for plants are only one-third the amount needed compared to the summer months. Did you plant winter ryegrass? Once it has germinated, be sure to cut back on the watering frequency to avoid disease problems! While there have been a few clouds and localized light sprinkles, do you realize how long it’s been since we had a good rain? We have gone through the months of September and October with no rainfall. Those months typically average over a half-inch of rainfall each. It’s likely that this will be a dry winter for the southwest. There’s been no rainfall since late August, but cooler temps have helped many plants recover from summer’s sizzle. Conditions will be flirting with 100-degree temps this weekend, but should be cooling back down. If you haven’t adjusted your irrigation clock/timer in a while, now is the time to do so. Water needs for plants are about half as much as they were in June. Check out these step-by-step instructions to reprogram your timer to the watering schedule suggested below. Fall is such a great time to plant, (see bonus tips below about plant sales and more), and to sow your Sonoran Desert wildflower seeds for spring bloom. Call us at 480-644-3306 or email us for a free seed packet! 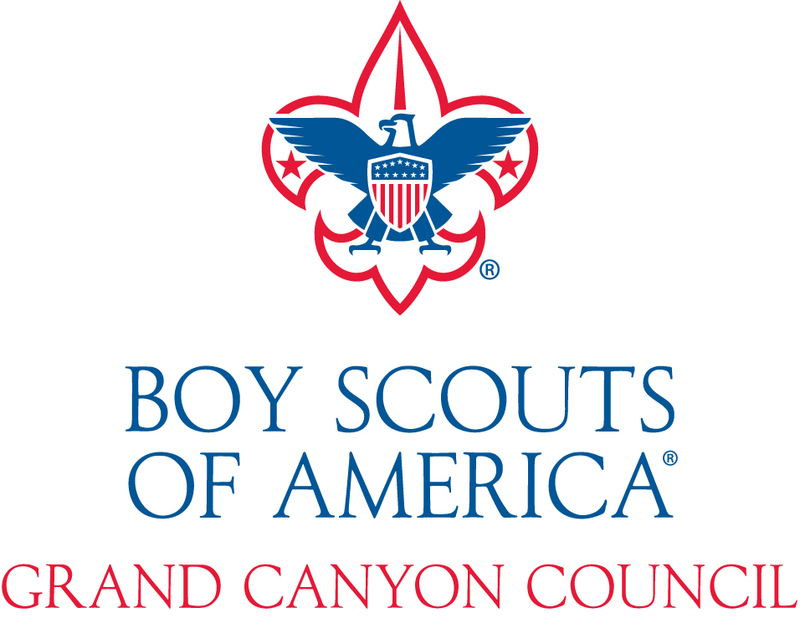 Did you know you can support the Grand Canyon Council by using your Fry's V.I.P. card? Just go to https://www.frysfood.com/topic/new-community-rewards-program and sign up. Use code 48267 and you will earn rewards for the Council. Quick, easy, and it helps support this great cause. 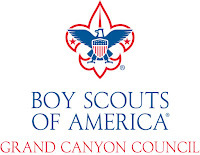 If you have any questions contact Librada Martinez (librada.martinez@scouting.org). Scorching high temps have been tough on plants. In case you missed it, see our special news alert we sent out in mid June about preparing your landscape for summer's sizzle. It's looking hopeful that monsoon clouds and increased humidity is moving in - making it much easier on plants. Sign up for their newsletter (and watering reminder) at the city's eNotifications page. Note: These recommendations are for plants that are established in the landscape (in the ground about 2 years) and are a general guideline only and may need to be modified for your specific site conditions. Mid-May through October is considered our summer season. Bermuda grass and many landscape plants may look a little stressed as they transition from our spring to summer temperatures. Humidity levels are low and there are lots of windy days. What this means for plants is a lot of moisture gets lost from the soil surface and through the leaves. Make sure you are giving plants a good drink of water, especially during or after a dry, windy day (don’t use sprinklers during windy days). Looks like we’ll be getting typical April weather, at least for the near future, with upper 80’s to low 90’s and creeping up later in the month. April through June is typically our drier period with low humidity and little chance of rain as temperatures warm up. It is a critical time to be providing irrigation as many plants are flushing out with new growth. Find our checklist for the month, Prepare Your Landscape for Summer's Sizzle! Recommendations below are for plants that are established in the landscape (in the ground about 2 years). A series of storms brought most areas a half-inch of rain or more on Tuesday. This is perfect weather for March since it is a transitional month when warm days will nudge Bermuda grass and other cold-sensitive plants out of dormancy. Having moisture available when new growth is emerging is important for a healthy start before heat sets in, and with the rains, you don’t need to provide the moisture with your irrigation system. Many desert trees (such as mesquites, palo verdes and lysilomas) may look sparse, but it's normal! They will drop their leaves and leaf out with beautiful, fresh green leaves soon (see photo below). It is not due to a watering issue. Recent conditions have been unseasonably warm – a little more typical for March. However, the 70- to 80-degree temps are perfect for some irrigation repairs or upgrades. For trees, moving emitters out to the drip line as they grow or adding more emitters is a good idea. It's also a perfect time to check emitters to ensure that they are working properly and that you don't have any leaks in the system. When you're testing the irrigation, you'll be giving added moisture to your plants. Get the Irrigation Maintenance Checklist [PDF]. Recommendations below are for plants that are established in the landscape (in the ground about two years). **TRAFFIC ADVISORY: Decatur St. will be temporarily closed. Event traffic should enter through Adobe St. via northbound Power Rd. Access to Adobe St. from southbound Power Rd. will be restricted. In 25 ways. Over 25 Days. What a wonderful Advent idea. Because December is cool and day length is short, plant water usage is at its lowest point. Learn in our Water – Use It Wisely news, Ten Tips for Winter Watering. Our typical first frost is around Dec. 12. If you want to be prepared for a cold snap, learn how to protect your plants from frost in a University of Arizona publication. For frost warning advisories, visit the National Weather Service Phoenix Web site and click on "Read watches, warnings and advisories." Keep in mind that plants that are not water stressed tolerate frost better. Don't miss the trains this year. 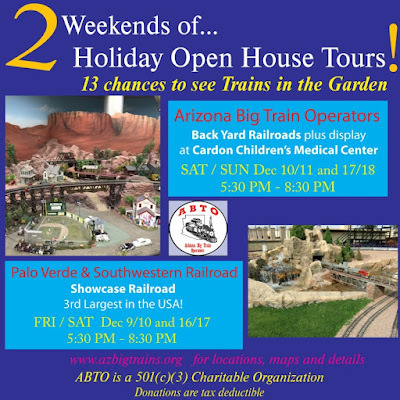 See the locations and schedule at Arizona Big Train Operators, Friday and Saturday, Dec 9/10 and 16/17.